How can you stay in-touch? 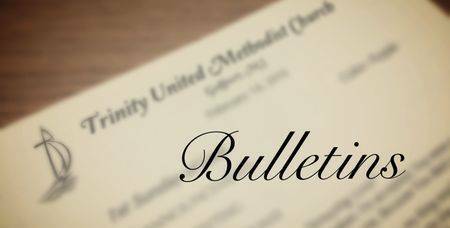 Click on the picture above to find the bulletins from the most recent worship services. 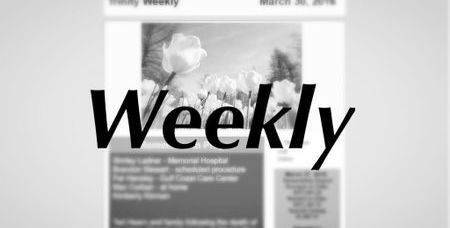 Click on the picture above to learn more about the Trinity Weekly, and make sure to register your e-mail to start receiving them! Connect with Trinity United Methodist Church by liking our facebook page, and following us on twitter! Trinity United Methodist Church uses Remind 101 for reminders, changes in the schedule, and weekly Bible verses. Sign up for the ministry you’re interested in, and start receiving text messages to keep you informed on the latest news.